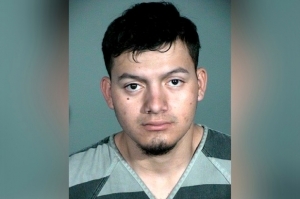 The suspect in four Northern Nevada murders, 20-year-old Wilber Martinez-Guzman appeared in Carson City Justice Court for his arraignment, and waived the right to a preliminary hearing within 15 days in order to be transferred to Washoe County. That allows him to be transferred to Washoe County to face the four murder charges in a joint prosecution with the Douglas County DA’s office. A pre-trial conference date in Carson City has been set for July 10. Martinez Guzman is charged with burglary, illegal gun possession and other crimes in the Capital City.